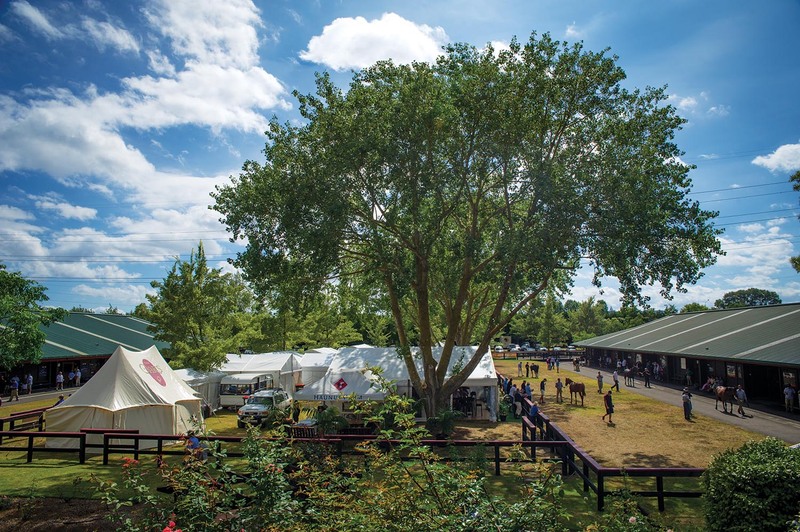 A major review of New Zealand Bloodstock’s annual yearling showcase has resulted in a new sales format for Karaka 2018. The first session of the National Yearling Sales series will now be held on the evening of Sunday, January 28, instead of Monday morning. With around 100 yearlings to be offered, this night session will also kick off the new-look catalogue structure, being the first of 700 horses catalogued together in the new Karaka Book I.
NZB managing director Andrew Seabrook said the changes would serve two positive purposes in particular. “I’m absolutely certain this new structure will be a success,” he said. “Selling 100 horses on Sunday night gets more horses in front of buyers early in the week, and aids the troublesome transition vendors have always faced mid-week. NZB will extend the number of horses sold in Book I to about 700, from Sunday evening to Wednesday afternoon, rather than finishing on Tuesday afternoon. The Premier, Select and Festival Sale names will be dropped in favour of Book I, Book II and Book III. Book II will be reduced to approximately 400 horses, to be sold on the Thursday and Friday of sales week, while Book III will remain on the Sunday. “The aim is to give the international buyers a reason to stay longer by giving them even more horses to look at on the sale ground at one time. In theory there will be at least 200 more horses being offered in front of a full overseas buying bench. It’s an exciting change that we think will provide a positive boost to sales week for buyers and sellers alike,” Seabrook said. AS PART of NZB’s newly enhanced sales series, one of the best race days in New Zealand is set to showcase a major upgrade, with two key changes to the Karaka Million Twilight Meeting at Ellerslie. New Zealand Bloodstock and the Auckland Racing Club have announced the 2018 Karaka Million Twilight Meeting will be run on Saturday, January 27th, rather than its traditional Sunday slot. It will continue as a six race twilight meeting, but in addition to two $1m feature events, the support card will now comprise four new Group races. Subject to confirmation of the New Zealand Racing Board Calendar.